A very important function of public relations and publicity is to promote the corporate image and reputation of a business. The “image” is the total sum of impressions on the company. For instance, a casual act by an employee can appraise or damage the corporate image in the eyes of a single customer or caller on the phone. However, the major elements of corporate image include; the core business and financial performance of the company, the reputation and performance of its brands (i.e. brand equity); its reputation for innovation or technological process; policies toward employees; external relations with customers, shareholders, and the community, and; the perceived trends in the markets in which the business operates. Public relations and publicity support other marketing tools, and could be seen as the backbone of the promotional mix. The success achieved by the other elements of the mix could easily be damaged or reduced by bad public relations or negative publicity, something which is undesirable to the businesses. Very often, the businesses cannot control the favourable or unfavourable messages about products or services that appear in online reviews. If for some reason, the business receives bad publicity, its role in this area moves to that of damage limitation. For example, many airlines and large hotel chains may have a section within their PR department to engage with online communities. This section will usually handle publicity issues, including negative reviews. Recently, we are increasingly witnessing an surge in businesses’ engagement with online communities, including consumers. User-generated ratings and reviews provide relevant information on the business products and their levels of customer service. For instance, many prospective customers read reviews before choosing which places to visit, to stay or to eat. Very often the online ratings and reviews will have an effect on their consumer behaviours. It is likely that prospective customers will be mainly influenced by negative reviews, rather than by positive ones. Many studies indicate that individuals will read consumer reviews before shopping. Presently, there are millions of online reviews that are related to travel and tourism. Digital platforms which provide travel-related content (are generated directly by users) concerning destinations, attractions and businesses. For instance, TripAdvisor provides travel related reviews and opinions on accommodation establishments, restaurants and attractions. In addition, many websites, which are traditionally known as booking engines, including; Booking.com, Airbnb.com, et cetera also provide reviews that are integrated in their presentation of properties, restaurants and other amenities. 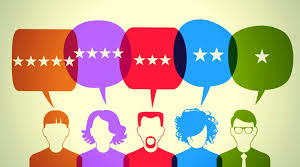 A distinction should be made between reviews and rating: Reviews will generally include qualitative comments and descriptions, whilst ratings usually feature quantitative rankings corresponding to degrees of user satisfaction. The ratings may be part of a review. Sometimes internet users may noticce that there may be controversial reviews online. Occasionally, the tourism service providers claim that they were subject to unfounded negative ratings. Moreover, many businesses may be blackmailed by consumers, as they threaten to write negative reviews unless their demands are not met. In a similar vein, consumers have also reported cases of unfounded positive ratings of services or unverified negative criticism. Online users are increasingly paying more attention to these contentious issues. Recently, The World Committee on Tourism Ethics has elaborated its recommendations for the responsible use of ratings and reviews on digital platforms. Their recommendations are addressed to three main groups of stakeholders, namely: online platforms (operators like TripAdvisor or Yelp) service providers (businesses that are listed on these platforms); and users (consumers). Digital platforms that incorporate reviews and ratings for their products and services need to ensure the accuracy, reliability and credibility of their content. Online platforms should undertake all reasonable measures to ensure that individual reviews reflect the real users’ opinions, findings and experiences. The provision of publicly available information though digital media involves a certain degree of trust, therefore the veracity of the reviews is essential for the integrity, reputation and good functioning of such platforms. Whilst it is not always easy to verify the authenticity of user generated content, the digital platform should have quality control mechanisms and processes to ensure that their reviews are clear, accurate and truthful, for the benefit of prospective consumers.